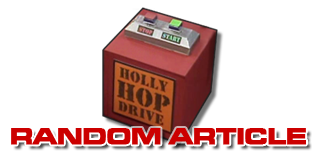 The Home of Witty Banter... and the broadcast home of Red Dwarf. With videos, quizzes, and exclusive behind-the-scenes blogs, as well as TV schedules. Like us on the social network for news, chat and exclusive content. Supported by Grant Naylor. Organisers of the Dimension Jump weekend and other fan-based activities, as well as digital-exclusive fanzine Back to Reality. 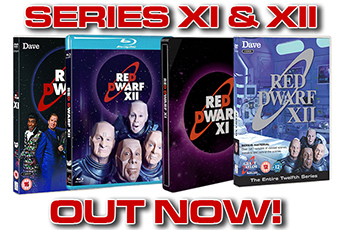 The Official Red Dwarf fan convention minisite. The official website of the actor, presenter and our very own Arnold Rimmer, with blog updates from the man himself. The official website of super-cool actor/singer/dancer/Cat, Danny John-Jules. Our Craig's weekly radio show on BBC 6Music - exploring the best in funk and soul from the roots of black music through to the current club sounds. Gig news and updates from the stand-up comedian and former Holly. The musician's own website showcases the vast array of work he has done for TV and film. Updates from the writer and Red Dwarf co-creator. Writer, DVD director, script editor, former website editor and all-round uberfan. Red Dwarf's director of photography from Series X onwards. Special effects from Mike Tucker and his crew - the boys behind some of Red Dwarf's greatest ever model effects. Not the skateboarder, but the five-times Red Dwarf guest star, author and filmmaker. Writer, magician and the original Talkie Toaster. Massively popular Elvis Presley impersonator and Meltdown scene-stealer. Voiceover artist extraordinaire, and the man behind Epideme. The "Bottled Beer Year", our one-time Howard Rimmer's real ale blog. "Nicey" Ackerman turned Hollywood superstar. Representing both Chris Barrie and Doug Naylor. Behind-the-scenes photographer and novel cover artist. Smegazine cover and general Red Dwarf poster artist. Active fan site with news, interviews, articles and audio 'Dwarfcasts'. Warning: Language and content unsuitable for younger readers (and many older ones!). 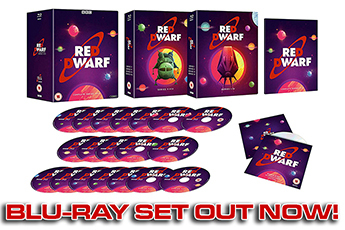 US-based producers of the Red Dwarf role-playing game, along with many others. Our long-serving magazine chums, reporting monthly on the world of sci-fi.